Sure, a dishwasher keeps your dishes clean and saves time, freeing you up to read that novel that’s been sitting by the bedside table, untouched. But what about the dishwasher itself? While a dishwasher is a cleaning device, it also has to be cleaned at regular intervals to ensure proper functioning. After all, don’t you empty the vacuum cleaner after using it? 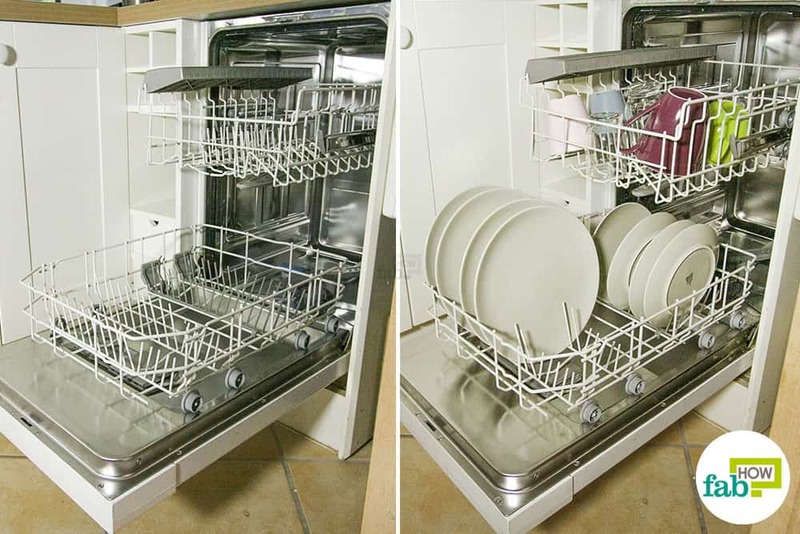 Your dishwasher accumulates grime over repeated wash cycles, as not everything goes through the drain. Over a period of time, these deposits in combination with the moist environment inside the dishwasher can cause a bad odor, mold and mildew, and even a rapidly growing plethora of germs. 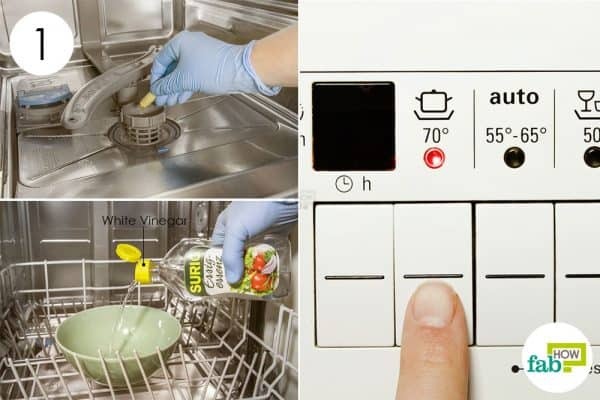 Today we show you how to quickly clean your dishwasher in just two easy steps using simple household items. First of all, you need to remove the dishwasher trays and check the drain at the bottom to make sure that there are no food chunks or other debris. If you find anything like small pieces of bones, crab shells and even glass, clean them out. Reinsert a dishwasher tray and place a dishwasher-safe bowl on it. 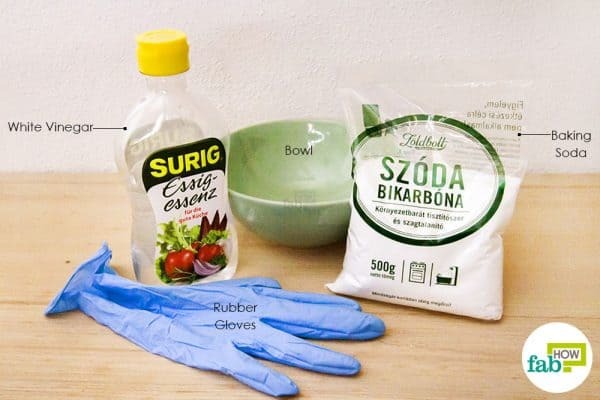 Pour about ½ to 1 cup of white vinegar into the bowl. The white vinegar will break down all the grime and grease. As white vinegar also acts as a potent disinfectant, it will help sanitize and deodorize your dishwasher. Run a wash cycle with the hottest water setting available on your machine to clean a dishwasher. Once the wash cycle with vinegar is complete, sprinkle some baking soda around the bottom of the dishwasher and run another wash cycle with the hottest water available. 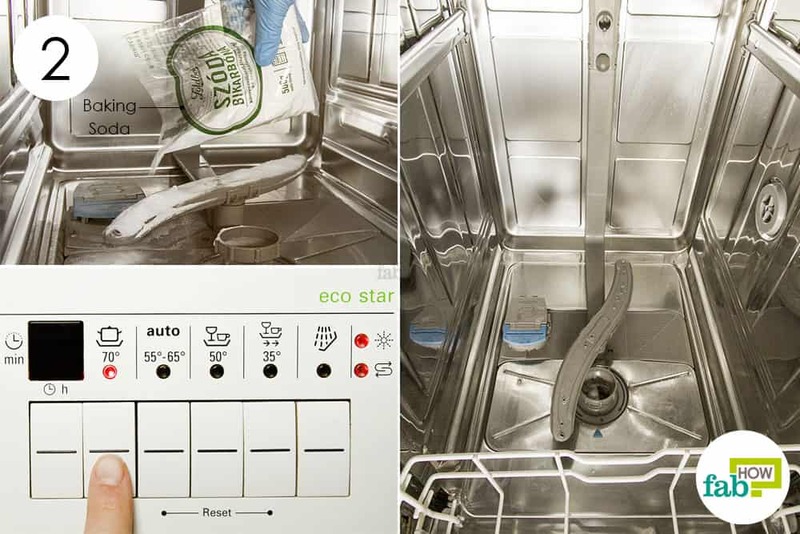 The baking soda will further absorb and banish foul odors from your dishwasher. It will also work to eliminate stains. Once the wash cycle is over, you will have a gleaming interior that is free of any foul stains or odors. You can clean your dishwasher once every month to keep it in good working order and germ-free. If you find mold or mildew at the bottom of your dishwasher, you can pour ½ to 1 cup of bleach in the bottom and run another hot wash cycle to clean a dishwasher. However, do not use bleach if your dishwasher’s interior is made of stainless steel, as it can corrode and tarnish stainless steel. Always run your garbage disposal before starting the dishwasher, as it will clear out the drain. Make sure that the water is hot enough to wash your dishes adequately. Set your water heater to 120°F or 50°C. Do not pack the dishes too tightly on the dishwasher racks. The water has to be able to reach the dishes’ surfaces for cleaning. Remove as much food debris as you can from your cookware and dishes before loading the dishwasher. Don’t rinse the plates too much, as the dishwashing detergent needs to have something to clean over. If you put in a load of almost clean dishes and run them through a wash cycle, the unutilized detergent can foam up inside the dishwasher, and that is not good for the longevity of your machine. For the same reason, you should not pour too much dishwashing detergent into the dispenser. Use the amount required as per the load.